Experience the joy of living in an exceptional condominium, surrounded by enviable amenities, in the heart of Scarborough. 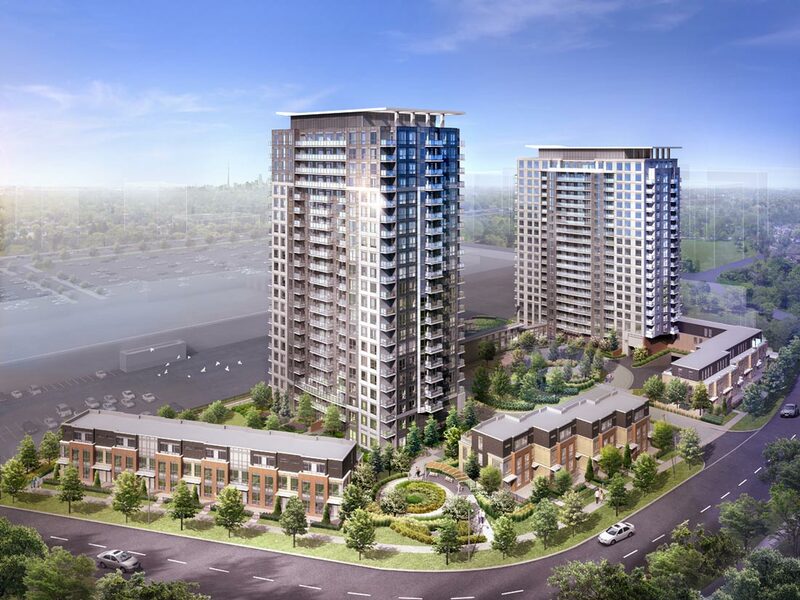 Joy 21 storey tower with 302 condos and townhomes, is ideally located at Kennedy Rd. and Sheppard Ave. East, Scarborough. (Gemterra at 195 Bonis Avenue) putting a world of conveniences and connections just steps from your door. As the sister tower to the highly successful LOVE Condominium, JOY’s 21 storey metal and glass-clad façade will reﬂect a modern silhouette, surrounded by lush landscaping and gardens. JOY Condominiums and townhomes is destined to make you happy, happy, happy. After all, this prime address is located right next to the newly proposed Sheppard East LRT Line. With a stop right at Kennedy Road, it will connect you to the TTC Subway at the Don Mills Station. Not only that, the Agincourt GO Train Station is around the corner and TTC bus service is outside your door. Prefer to travel by car? Hop onto Hwy 401 or the Don Valley Parkway, both close by. So many options, so many places to go: there’s Scarborough Town Centre, Kennedy Commons, Agincourt Mall, great restaurants, movie theatres and the fairways of the Tam O’Shanter Golf Course nearby. JOY”s modern tower will be connected to LOVE Condominiums by an Amenity Centre with large indoor swimming pool, hot tub, state-of-the art Fitness Centre and a lushly landscaped rooftop with quiet lounging spaces. At street level, smartly designed townhomes with private patios will frame the community perimeter along Bonis Avenue. Pedestrian-friendly walkways lined with lush greenery and seasonal gardens will link the entire community, creating a park-inspired feel.